Unhappy with your smile? A crown may be the solution! 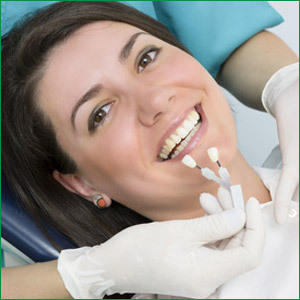 · Porcelain crowns can also be part of a complete smile makeover. · fail to bond to the tooth’s surface. We use porcelain or all-resin crowns that match your natural tooth color and blend in nicely with surrounding teeth. There is no metal in porcelain or all-resin crowns, thus taking a metal allergy and the dangers of metal out of the equation. You can schedule a complimentary consultation and we’ll answer all your questions about metal-free crowns. We can help you obtain and maintain a fabulous natural smile. What types of dental crowns are available today? While there are many types of dental crowns available today: gold, metal, porcelain fused to metal, resin, and porcelain, at Brightleaf Dental we don’t use any metal in our dental crowns. Why? Our holistic approach to dental crowns can prevent many issues associated with the use of metals in a dental tooth crown. By using a healthy and natural approach to dentistry, we can help you enhance and preserve your smile for years to come. Porcelain or all-resin crowns match your natural tooth color, blending nicely with surrounding teeth. There is no metal in porcelain or all-resin crowns thus taking the metal allergy out of the equation. Metal crowns contain mercury and other metals, putting you at risk for possibly developing health issues associated with the metals. A metal dental tooth crown is highly visible due to the silver color and cannot be colored to blend with surrounding teeth. Metal crowns containing mercury pose a health risk to your dentist and dental assistants when handled or disposed of, which is why we use metal free dental crowns in our Santa Monica office. Our natural approach to dental care and tooth repair does not put you or our staff at risk from exposure to harmful products. We take pride in providing the standard of service and safety you would expect from a holistic dental practice. Are you ready to learn more about natural products for your dental needs? Call today to schedule a complimentary consultation and we’ll answer all your questions about metal-free crowns. We can help you obtain and maintain a fabulous natural smile.